I’ve known MK for a few years, and used to work on her Heart of Frederick website. I must admit when she came to me in the fall saying she wanted to revamp her Mary Kate McKenna Photography website, I was just the slightest bit scared. She already had a very custom beautifully designed website. After we spoke in detail, I understood. Her website no longer matched her vision and she had some big changes in mind for her business going forward. A site can be really good and not right for you. This was the case. As for all custom ProPhoto design clients, we start with an in depth survey and inspiration board. Then we go through the answers in detail during our discovery meeting to kickoff our project. 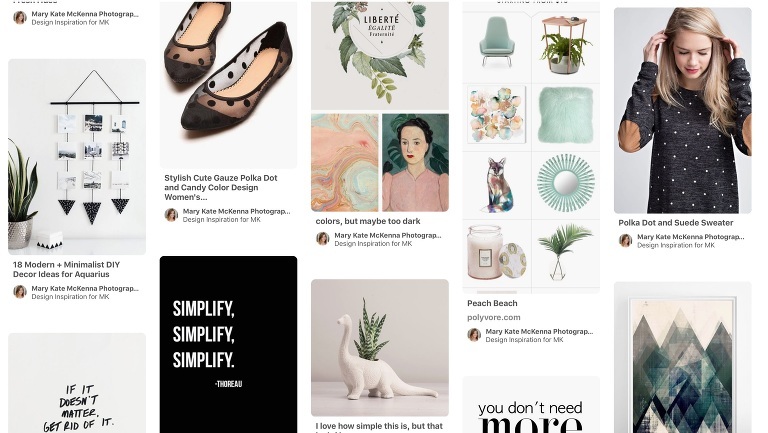 MK was very clear that she wanted a well organized minimalist site but what her inspiration pins brought out was that she also loves color and a feminine touch. MK already had a logo that she wanted to keep but was open to changing the colors. 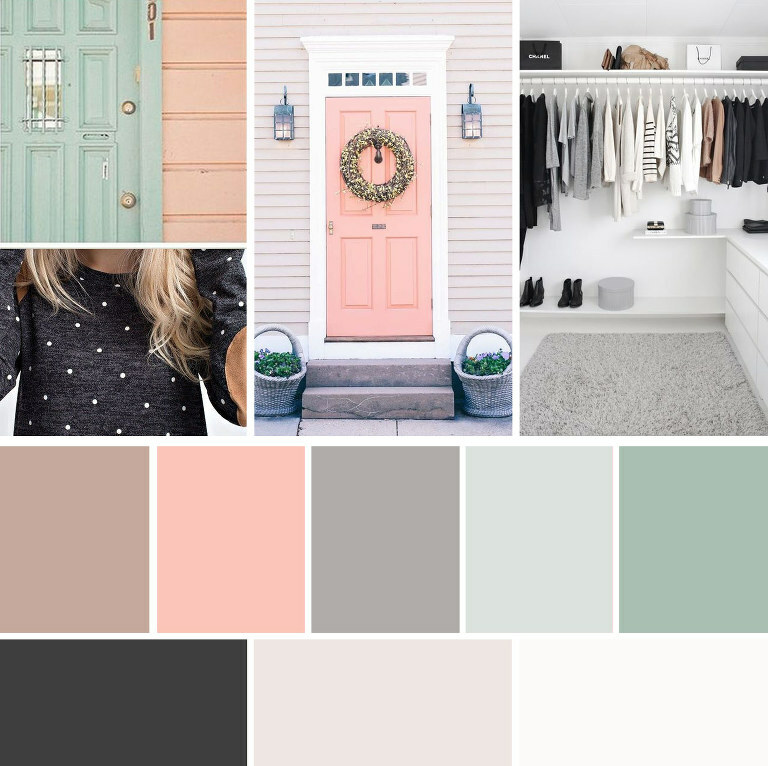 We created a color palette with a pop of peach and sage green. For the logo, we went with charcoal for the font color and peach for the bird graphic. Projects morph as they develop. During the concept review I encourage clients to remember that it’s still going to grow more. The design is kind of living, breathing and morphing entity as we work together. The collaboration and where it takes us is one of my favorite parts of what I do. Here is the concept layout for MK’s website. Related Post: A new custom Pro Photo website! You’ll notice on the live website, many elements do carry over but others changed. Some got removed, as they just didn’t work with the final vision. We actually started with the logo a different color and the signup bar. We also went with a bit warmer of an slightly off- white for the background. Here are some screenshots from her site, of the finished product. Mary Kate has been in business for 14 years. That is a long time in the photography industry that tends to have lots of new startups. 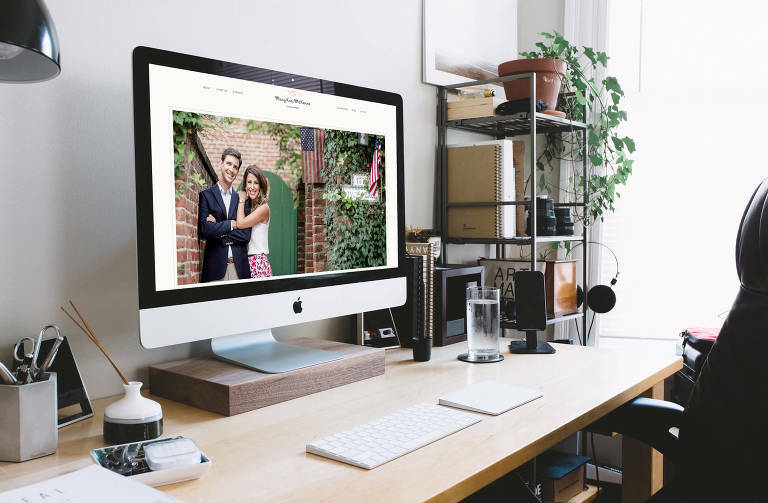 She has always worked with families and couples repeatedly over time, from photographing their engagement session to their babies years later. We incorporated an incredible video that she had created to showcase this, and a link to a page talking about this experience. It was really important that this be eye catching on her site. Some other important features were a blog that was easy and quick to view posts, clean galleries, and an about section that really lets people get to know MK. 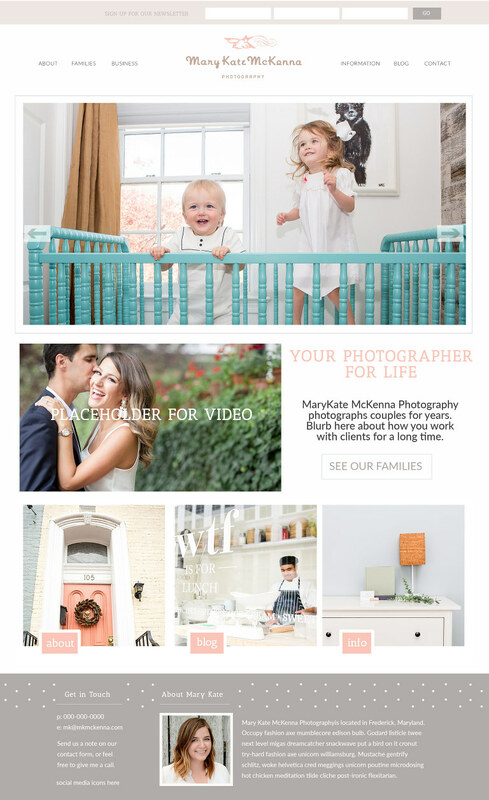 Check out the full website for Mary Kate McKenna Photography at mkmckenna.com. If you are looking to rebrand or build a new website altogether, send me a note for details about working together. « What does it cost to setup a WordPress website?